There's a lot you can say about this fantastic, one of a kind blend. The Turkish Red is a full bodied, turkish flavor that focuses on delivering a rich turkish aroma and taste. 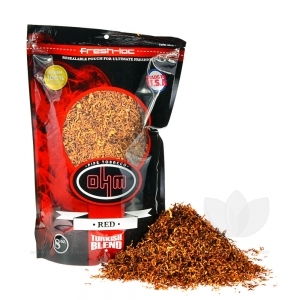 OHM pipe tobacco is a medium cut, strong pipe tobacco that limits shake and stems using an intricate filtering procedure prior to packaging. This method ensures that every bag, no matter the size is perfectly mixed and flavored to deliver an unmatched experience.